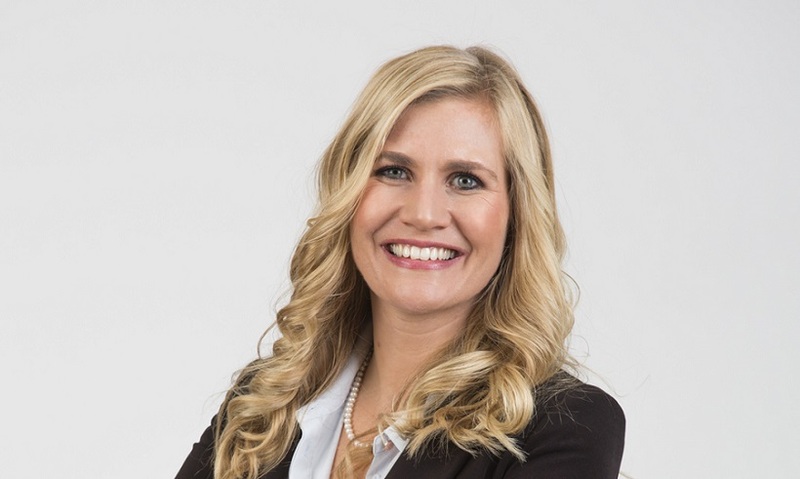 Dominique Collett is senior investment executive at Rand Merchant Investment Holdings, heading the firm’s next-generation financial services business AlphaCode. Here she writes of Africa’s fintech success stories and the failure of M-Pesa in South Africa. Fintech is disrupting the way ordinary Africans manage and use money. And these fintech players are standing up to traditional institutions as a force to be reckoned with. Accenture estimates that over one-third of mainstream financial services’ revenue is at risk due to disruption in the industry from fintech. Many reports show how the rapid development of African fintech, which exploded in the years following the 2008 global meltdown, is threatening established players in the mainstream financial services sector. Africa is fertile ground for new fintech services which are leveraging the power of communities and social media to make financial services more relevant, while using data to deliver more meaningful financial services on an ongoing basis. In my role as head of AlphaCode, a club for fintech entrepreneurs, I meet these motivated and innovative entrepreneurs daily. The mushrooming of new and successful fintech companies on the African continent can be directly linked to innovations that meet the needs of historically under-serviced market – the unbanked. This has seen fintech itself become a facilitator of economic growth in Africa. It is lowering the barriers to entry for consumers by playing a development role and helping to reduce financial exclusion. And financial inclusion combined with a strong financial sector is the backbone of any thriving economy. While infrastructure development, internet penetration and access to finance remain real barriers to economic opportunities in many parts of the African continent, the continent has overall experienced strong economic growth and made major inroads into poverty. An improvement in the quality of economic governance has also played a role. The costs of starting a business have fallen, as have the delays in starting a business. There are remarkable fintech businesses that have developed into exciting fintech African success stories. We have seen innovators and fintech-preneurs build new platforms that consumers can easily understand, trust, and in a just click or two, can transact, borrow, save and insure. Critically, these fintech innovators first made sure they understood the system they intended to disrupt; they considered the competitive landscape; and niched their fintech solution to meet specific needs of a specific customer grouping. Today, fintech businesses like these are thriving. Merchant Capital: A Johannesburg-based provider of alternative sources of working capital designed specifically for Small and Medium Enterprises (SMEs) in South Africa. Investors include Rand Merchant Investment Holdings (the group behind Discovery, OUTsurance, MMI and FirstRand) and Capricorn (the investors behind Hollard, Nando’s and Clientel). TYME: Joburg-based digital banking business that launched Mobile Money for MTN and PnP which acquired one million customers and processed over ZAR1bn transactions in its first nine months, making it one of the top 10 mobile money deployments globally. Acquired by Commonwealth Bank of Australia in 2015. Wigroup – A mobile transaction solutions company based in Cape Town which provides a point-of-sale integrated, open and interoperable, mobile transaction platform. To date it has processed more thanR5bn in transactions. It was invested in by Investec Asset Management. Zoona – A Cape-Town-based money transfer business operating in Zambia and Malawi. To date, it has attracted 1.5-million active customers and has processed over $1 billion in transaction value across a network of 1,500 agent outlets. Investors include Accion Frontier Fund and Omidyar Network. Rainfin – A Cape Town-based P2P (peer-to-peer) platform which is the largest in South Africa and focuses on SMEs. It is currently lending more than one million rand per day. It is backed by Barclays. SnapScan – A Cape Town-based business providing a cashless, cardless payment app that consumers can use at thousands of different merchants across South Africa. SnapScan has scaled to more than 10,000 merchants nationally. It is backed by Standard Bank. The difference between success and failure of fintech in Africa is often about distribution. People need to be able to access the product and it needs to have utility. I have found that many fintech businesses starting out do not pay enough attention to the distribution of their product – they tend to focus on the technology. I always say that technology is a hygiene factor in financial services and the product needs to work but most of the innovation is actually in how you get the products to customers. This is where fintech founders need to really focus. Rather get a product that is 75 per cent right out to a large portion of the population, than a product that is 100 per cent right to a tiny base. What I see in a lot of fintech businesses is that they focus on tech and the product with no or little regard to its distribution. They have a great product and great tech but have no clear strategy on how to get to their customers. Ultimately, they do not achieve commercial viability. In financial services, distribution is everything and is where a lot of the innovation really lies. The African fintech case study that will go down in the history of the digital banking era on our continent is the roaring success of M-Pesa in Kenya and its dismal failure in South Africa. Following the launch of the mobile phone-based money transfer service M-Pesa by local mobile network operator, Safaricom, in Kenya in 2007, the service came to record over 20 million subscribers in its primary market, Kenya, and some 7 million subscribers in its second biggest market, Tanzania. Meanwhile, it was reported that by March last year M-Pesa only had only one million subscribers and 76,000 active users in South Africa, despite Vodacom’s projections at its launch in 2010 that it would sign up 10 million users in three years. M-Pesa allows users to deposit, withdraw, transfer money and pay for goods and services using their mobile devices. M-Pesa’s dominance in Kenya was partly technology but mostly distribution: they had a dominant mobile network operator and significant agent distribution. Similarly, the failure in South Africa was not on a technology front – it was because they lacked distribution and they lacked the network effect which is exactly what is required to make a closed loop wallet work. You cannot just copy a system and paste it into a new market. Also, each country has very specific regulatory requirements which need to be considered. South Africa doesn’t have the same favourable regulatory environment for wallets as Kenya. We don’t have the same set of circumstances. Wallets have historically suffered in this country because we have a significant banking infrastructure and it is difficult for closed loop systems to compete with our open loop architecture. Furthermore, financial services are very market specific. It is vital for new up-and-coming fintech businesses to understand the system they are looking to disrupt and where its weaknesses are. They must understand the cultural nuances of a market – how customers interact with money, their relationships with each other. The product must have utility and be relevant to a consumer. It must help people. More and more people across our continent will need financial services in some form as real growth is entrenched and socio-economic upliftment occurs. Waves of disruption will certainly happen, but the basic needs to transact, borrow, save and insure will never disappear. Therefore, there will always be a need to innovate and deliver these services to customers. It makes Africa an exciting space for fintech in 2016 and beyond.